Morphy’s to host March 13-14 sale brimming with nearly 1,600 fresh-to-market toys, banks, trains and dolls with prestigious provenance. 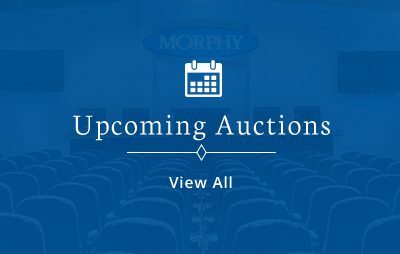 DENVER, Pa. – Although Morphy Auctions is a full-service auction house that has achieved world-record prices for decorative art, fine jewelry and firearms, it has its roots deeply embedded in the antique toy and bank community. Since opening its doors in 1997, Morphy’s has represented one distinguished collection after another, including the Stephen and Marilyn Steckbeck bank collection (Oct. 2007), whose $7.7 million total set a new record for the highest-achieving one-day single-owner toy collection ever sold at auction. Morphy’s will continue the tradition of bringing fresh, superior-quality toys, banks and dolls to the marketplace on March 13-14 with a 1,590-lot sale at their southeastern Pennsylvania gallery. All forms of remote bidding will be available, including live via the Internet through Morphy Live. Prices for antique mechanical banks have remained robust at Morphy sales over the past two decades, whether the bulls or bears were in charge on Wall Street. “I’ve collected them since I was a boy, and they’ve always been a fantastic investment,” said Morphy Auctions president Dan Morphy. Of the 77 outstanding cast-iron mechanical banks entered in the March event, Dan’s top picks begin with a J. & E. Stevens (Cromwell, Conn.) Girl Skipping Rope. An excellent original example with strong, consistent coloring, it comes with provenance that includes the revered Bill Norman collection. It is estimated at $60,000-$90,000. Following closely behind is a near-mint, all-original Merry-Go-Round bank made by Kyser & Rex of Philadelphia. “It’s hard to find an example of this bank that doesn’t have major issues,” Dan observed. “This one is a beauty, and was one of the prized pieces in the late Donal Markey’s collection. Don had a fantastic eye for art and color, and he was a stickler for condition.” Estimate: $50,000-$80,000. The parade of J. & E. Stevens highlights continues with a stunning example of a Milking Cow bank, thin-base variation (provenance: Covert Hegarty collection); and football-themed Calamity bank (provenance: Bill Norman collection). Each of these exceptional mechanicals is expected to make $40,000-$60,000. A whimsical bank known as “Professor Pug Frog’s Great Bicycle Feat” is in near-mint condition and predicted to reach $40,000-$50,000 on auction day. Also having potential to finish in the top 10 are a near-mint Bread Winners bank, $30,000-$50,000; and one of the best known examples of a Magician bank, which has the added bonus of its rare original wooden factory box, $25,000-$50,000. A near-mint Standing Giant mechanical bank manufactured by H.L. Judd is long on lineage. It was previously held in the legendary collections of Ferdinand Weider, Stanley P. Sax, and financier and pioneer bank collector Edwin H. Mosler Jr. Boasting a handsome natural patina, this bank could reach $20,000-$30,000. A tin Saalheimer & Strauss (Germany) “Smile Please!” Mickey Mouse bank exhibits a colorful Art Deco motif, front and back. It features two different depictions of a toothy Mickey, one in which he prepares to take a picture with an old-fashioned camera on tripod. Its pre-sale estimate is $10,000-$20,000. Morphy’s will offer 95 figural cast-iron doorstops, including one of the most coveted of all forms: an appealing Halloween Girl made by Littco Products of Littlestown, Pa. Only four examples of this doorstop depicting a trick-or-treater with a jack-o’-lantern are known to exist. In excellent condition, this doorstop will make a sweet treat for some lucky collector when it crosses the auction block with a $15,000-$25,000 estimate. A 14-¾-inch Giraffe doorstop attributed to Hubley carries a $5,000-$10,000 estimate. An extensive selection of American and European tin toys will be auctioned, with many subcategories in the mix, from comic character to automotive and German wind-up varieties. Leading the American character section is that punchy cartoon sailor Popeye, shown training for a big boxing match with a mallet and gong strength-tester. Known as the “Heavy Hitter,” the 1932 Chein toy is boxed and estimated at $3,000-$6,000. A Lehmann rarity and collector favorite, a downhill skier “Skirolf” in very fine condition with its original pictorial box could schuss its way to $8,000-$14,000; while the same German manufacturer’s Walking Down Broadway, depicting a well-dressed couple walking their dog, is offered boxed with a $4,000-$8,000 estimate. A visitor from the future, an imposing Machine Man robot from Masudaya’s famous Gang of Five series has the rare distinction of having been consigned by its original owner. A superior example of one of the most sought-after of all robots, it could bump-and-go to a new owner for $50,000-$80,000. Dozens of other space toys will follow in Machine Man’s footsteps. Train enthusiasts can take their pick of 243 high-quality lots featuring early productions by Ives, American Flyer, Lionel, Voltamp and other “golden era” companies. Highlights include a rare Carlisle & Finch open summer trolley, $6,000-$10,000; a Lionel standard gauge No. 408E Brown State passenger set, $4,000-$6,000; and a Voltamp United No. 2120 Electric Trolley, $4,000-$6,000. The lineup of 77 fine dolls and automata features many of the greatest names in European doll design, including Armand Marseille, Simon & Halbig, Kestner, Kammer & Reinhardt, and Steiner. A wonderful 17-inch Bru Jne Bebe #5 with bisque socket head and arms, wooden lower legs, and human-hair wig has paperweight brown eyes and a closed mouth. The doll wears its original costume and hat, and has pierced ears with earrings. Described by Morphy’s doll expert as “overall a fine example with no apologies,” it comes to auction with a $10,000-$15,000 estimate. Several automata add mechanical amusement to the grouping, including a Lambert Pierrot Serenading the Moon, $8,000-$12,000; and a Vichy Banjo Player, $6,000-$9,000. A testament to the Swinging Sixties, an ultra-rare set of large-size Beatles nodder dolls characterizing the Beatles was produced in 1964 by Car Mascots Inc. The 14- to 15-inch figures of John, Paul, George and Ringo were manufactured expressly for use as store display models, and only a handful of complete sets of this type are believed to have survived over the past half-century. Graded excellent, the Fab Four are expected to perform in the $10,000-$20,000 range. Collectors of antique and vintage marbles consider Morphy’s a premier buying source as well as a welcoming environment, since Dan Morphy is, himself, an enthusiastic marble collector. “Antique marbles are miniature glass artworks, with no two the same,” Dan said. “They appeal to all age groups, and new collectors are coming into the hobby all the time. We encourage that.” For the March 13-14 sale, Morphy’s has cataloged 44 lots of top-notch marbles, including a large (2-3/8in. ), exceptional three-stage ribbon swirl marble with floating transparent bands and two sets of latticino threads – 14 threads in all. A condition 9.8 out of 10, it could command a winning bid of $7,000-$10,000. Another standout is a fantastic speckled onionskin with mica marble estimated at $6,000-$8,000. Scores of other categories are featured in Morphy’s March 13-14 auction, including cast-iron and pressed-steel vehicles, Marx toys, sports memorabilia, holiday antiques, teddy bears, Japanese toys (both tin and celluloid), and many more. The auction will start at 9 a.m. Eastern time, with all forms of bidding available, including live via the Internet through Morphy Live. For additional information on any item in the sale, call toll-free 877-968-8880 or email info@nullmorphyauctions.com. View the fully illustrated catalog online at www.morphyauctions.com.